Night Rush Casino is operated by the Bethard Group Limited which is registered in Malta with the Malta Gaming Authority (MGA). Get ready to seize the night at Night Rush Casino! There are over 700 online casino games so there is something for everyone. Night Rush is a NetEnt casino, and also has games from casino software providers such as: QuickSpin, Microgaming, Thunderkick, ELK Studios, Yggdrasil, NYX, Evolution Gaming, and iSoftBet. The casino is responsive on all different platforms, such as: mobile, laptop, or tablet so that players can carry on playing games on-the-go even if they lead super busy lives. In addition to having an online Casino, Night Rush also has a Live Casino, Sports, and Live Betting. New players* at Night Rush Casino can sign up to get 10 No Deposit Free Spins on the Starburst Slot. *Only new players from Austria, Switzerland, Sweden, Norway, Finland, and Germany are eligible for this offer. 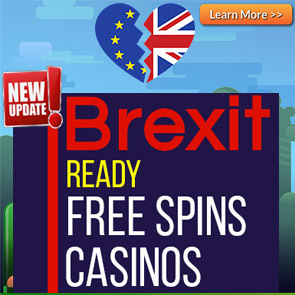 New players from Canada and New Zealand can sign up to get 10 No Deposit Free Spins on the Second Strike Slot. 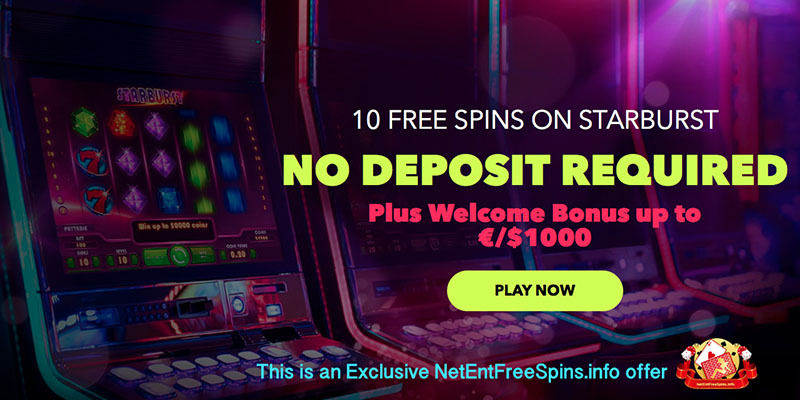 Please note that these No Deposit Free Spins offers are Exclusive to NetEntFreeSpins.info players only. Use any of the links on this page to get your offers. New players at Night Rush Casino receive a 100% bonus up to €500 when they make their first deposit at the casino. Get a 50% bonus up to €500 when you make your second deposit. Make a minimum deposit of €20 or more to qualify for the welcome bonuses mentioned above. 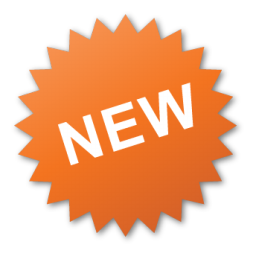 *The Welcome offer is only valid for new players residing in the following countries: Austria, Canada, Switzerland, New Zealand, Sweden, Norway, Finland, and Germany. The wagering requirement for the Welcome offers is 45 times and must be met within 3 days. You must deposit a minimum of €20 or equivalent to be eligible for welcome bonuses. Players depositing with Skrill or Neteller will not be allowed to claim welcome bonuses. 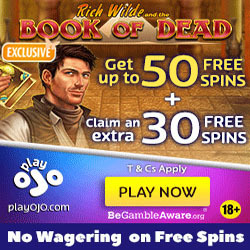 Your No Deposit free spins winnings must be wagered 45 times and the winnings are capped at a maximum of €100. Not all games contribute the same percentage towards fulfilling the wagering requirements. The following games do NOT contribute towards wagering requirements: Blood Suckers, Cosmic Fortune, Jackpot 6000; Video Poker, 3 Card Poker, table games and other games; any Progressive Jackpot games. Players from the countries herewith listed may not accept bonus offers: Bulgaria, Poland, Hungary, Romania, Greece, Croatia, India, Pakistan, Ukraine, Indonesia, Russia, Slovakia, Portugal, and Thailand. The deposit options at Night Rush Casino are: Neteller, Zimpler, iDebit, Mastercard, Skrill, Visa, Paysafecard, Sofortuberweisung, and Trustly. English, Finnish, Norwegian, German, and Swedish. United Kingdom, United States, Panama, Papua New Guinea, Paraguay, Peru, Philippines, Puerto Rico, Qatar, Reunion, Russia, Rwanda, Saint Kitts and Nevis, Saint Lucia, Saint Pierre and Miquelon, Saint Vincent and the Grenadines, Samoa, Sao Tome and Principe, Saudi Arabia, Senegal, Seychelles, Sierra Leone, Singapore, Solomon Islands, Somalia, South Africa, South Korea, Spain, Sri Lanka, St. Helena, Sudan, Suriname, Swaziland, Syria, Taiwan, Tajikistan, Tanzania, Thailand, Afghanistan, Algeria, Angola, Anguilla, Antarctica, Antigua and Barbuda, Armenia, Aruba, Australia, Azerbaijan, Bahamas, Bahrain, Bangladesh, Barbados, Belarus, Belgium, Belize, Benin, Bermuda, Bhutan, Bolivia, Botswana, Brazil, British Indian Ocean Territory, British Virgin Islands, Brunei, Bulgaria, Burkina Faso, Burundi, Cambodia, Cameroon, Cape Verde, Cayman Islands, Central African Republic, Chad, Chile, China, Christmas Island, Cocos Islands, Colombia, Comoros, Cook Islands, Costa Rica, Kenya, Kiribati, Kuwait, Kyrgyzstan, Laos, Lebanon, Lesotho, Liberia, Libya, Macau, Madagascar, Malawi, Malaysia, Maldives, Mali, Marshall Islands, Mongolia, Montserrat, Morocco, Mozambique, Myanmar, Namibia, Nauru, Nepal, New Caledonia, Nicaragua, Niger, Nigeria, Niue, Norfolk Island, North Korea, Oman, Pakistan, Palau, Palestine, Togo, Tokelau, Tonga, Trinidad and Tobago, Tunisia, Martinique, Mauritania, Mauritius, Mayotte, Mexico, Micronesia, Moldova, Turkey, Turkmenistan, Turks and Caicos Islands, Tuvalu, Uganda, Ukraine, United Arab Emirates, Uruguay, Uzbekistan, Vanuatu, Venezuela, Vietnam, Virgin Islands, Wallis and Futuna Islands, Western Sahara, Yemen, Zambia, Zimbabwe, Cote D’Ivoire, Cuba, Cyprus, Darussalam, Democratic Republic of Congo, Denmark, Djibouti, Dominica, Dominican Republic, East Timor, Ecuador, Egypt, El Salvador, Equatorial Guinea, Eritrea, Estonia, Ethiopia, Falkland Islands (Malvinas), Faroe Islands, Fiji, France, French Guiana, French Polynesia, Gabon, Gambia, Georgia, Ghana, Greece, Greenland, Grenada, Guadeloupe, Guam, Guatemala, Guinea, Guinea-Bissau, Guyana, Haiti, Helena, Honduras, Hong Kong, Hungary, India, Indonesia, Iran, Iraq, Ireland, Israel, Italy, Jamaica, Japan, Jordan, and Kazakhstan. Contact customer care via Live Chat or Email.